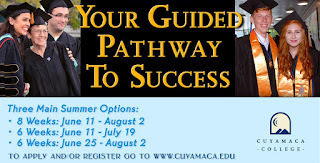 The San Diego Center for Economic Education at Cuyamaca College is co-hosting a three-day course on economics and personal finance in late June that is designed for high school and community college instructors in building impactful lesson plans for their students. Titled Building Blocks for Economic Education, the June 27-29 session at the University of San Diego is presented by the San Diego Center for Economic Education at Cuyamaca College in association with the California Council on Economic Education and the Federal Reserve banks of Atlanta, Dallas, San Francisco and St. Louis. High school and community college instructors attending the symposium will learn about effective interactive lessons, emphasizing infographics and utilizing other tools that can meet any teaching style pertaining to economics and personal finance. Registration is $299 per person, but scholarships are available. Daily sessions are scheduled from 8:30 a.m. to 4 p.m. Further information can be obtained by emailing Joshua Mitton at the California Council on Economic Education at jmitton@ccee.org. Registration fees include housing and after-class excursions at Old Town San Diego State Park and San Diego Harbor. Deadline for registration and payment is June 1. Registration can be completed online through the Federal Reserve Bank of St. Louis website at stlouisfed.org/events. The San Diego Center for Economic Education at Cuyamaca College trains scores of elementary and high school teachers each year on the best methods for teaching economics in the classroom and how to infuse economics into other subject areas such as history or geography. The San Diego Center for Economic Education is the only one of 11 such centers in the state that is located at a community college. 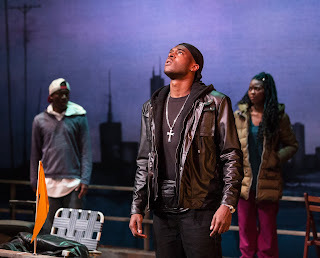 Grossmont College Theatre Arts student Demetrius Clayton has seen a bit of the world as a Marine Corps vet, but he describes his first professional role in the Cygnet Theatre production of “The Wind and the Breeze” as a real jaw-dropper. 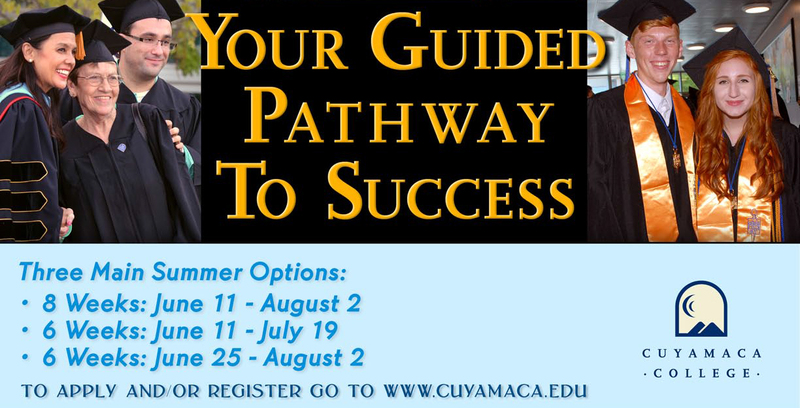 This summer’s classes at Grossmont and Cuyamaca colleges offer something for everyone, from recent high school graduates to working adults or those looking to get into shape with a variety of health and fitness classes. All classes cost $46 a unit for California residents, or $138 for the average class. Financial aid, online application and registration are available. There’s more scheduling flexibility than ever, with both colleges offering online and hybrid classes, as well as evening classes to accommodate busy schedules. More than 2,500 students are graduating from Grossmont and Cuyamaca colleges in June 2018. Here is the story of one remarkable graduate. 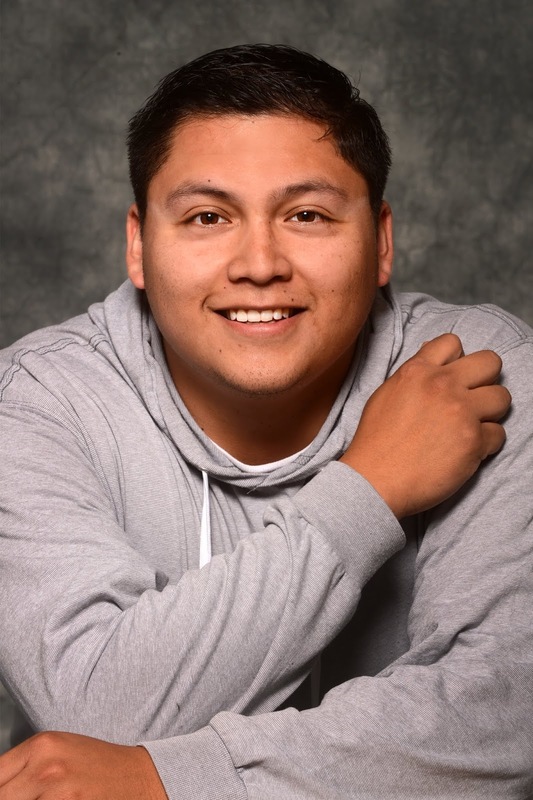 Fernando Lucero found his path at Cuyamaca College. The former gang member who survived a drive-by shooting and who was once kicked out of high school because of his grades is thriving at Cuyamaca College, is earning an associate degree in communication and is preparing to transfer to San Diego State University in the fall. Now he’s helping others at Cuyamaca College develop their wings. 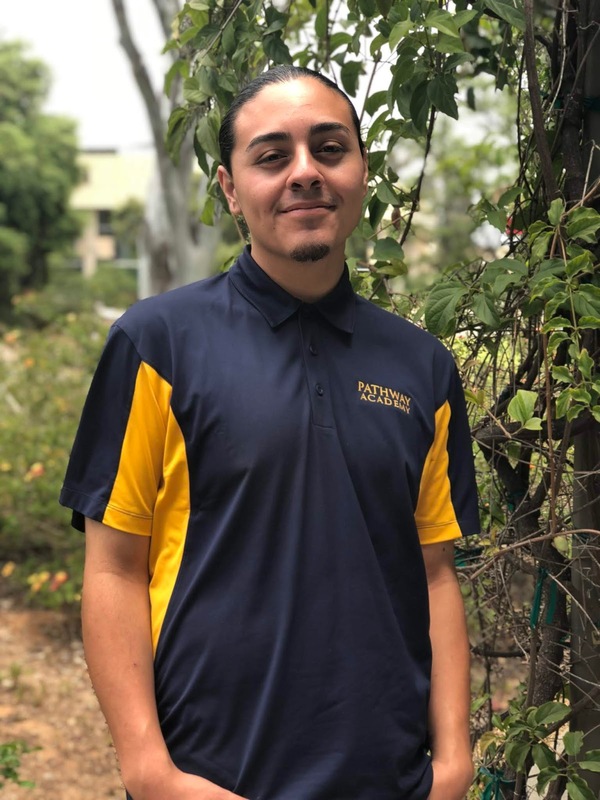 Although his next chapter in life will take him a few miles west to earn a bachelor’s degree in Chicana and Chicano Studies at San Diego State, Lucero will continue working as a student mentor at the Cuyamaca College Pathway Academy. The program helps first-generation students and those from underrepresented communities navigate the journey to a degree, certificate or four-year college or university. The governing boards of two East County high school and college districts are making a promise to high school seniors: commit to your college success, and you will receive a free year of tuition at Grossmont and Cuyamaca colleges. 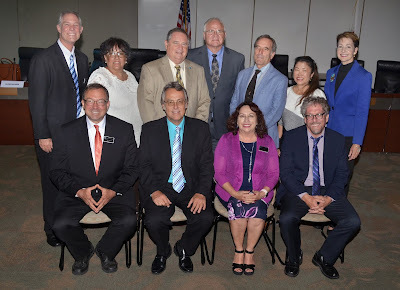 At the fourth annual joint meeting of the Grossmont-Cuyamaca Community College District and the Grossmont Union High School District boards, the new Grossmont-Cuyamaca College Promise was unveiled. The Promise will begin in fall 2018 for first-time college students who are attending full time. It is being funded as the result of state legislation enacted last fall. Be a first-time college student. Complete a Free Application for Federal Student Aid (FAFSA) or a California Dream Act application. Complete the college onboarding process, which includes application, orientation, assessment and developing an education plan. Register as a full-time student at Grossmont or Cuyamaca College – at least 12 credit units per semester. 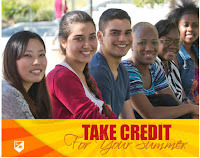 Maintain a 2.0 grade point average in the fall semester of college to be eligible for the spring. In 2016-17, almost 25 percent of the approximately 5,900 graduates from the 12 Grossmont Union High School District schools attended Grossmont or Cuyamaca College. Gustavo Gonzalez Herrera has wanted to become a doctor since he witnessed the lack of medical care afforded to the poor while growing up in a Tijuana family barely able to feed itself. Thanks to Grossmont College, he may reach his dream. “I want to make a difference,” said Gonzalez, 24, a biology major who is carrying a 4.0 GPA and plans to transfer to UC San Diego. 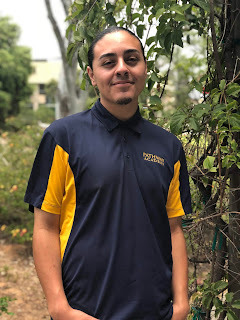 He’s making a difference at Grossmont College, where his dedication and academic success led the Foundation for Grossmont & Cuyamaca Colleges to recently award him with a $500 Barnes & Noble Scholarship to pay for textbooks. For a student enveloped by poverty as a child, the scholarship will have a profound impact. Gonzalez grew up dirt poor in Tijuana, one of three boys being raised by a single mom. The family for one year lived in a church, with his mother taking care of more than a dozen orphans in exchange for having a place to raise her children. “My mom had enough money to feed us, but not much beyond that,” Gonzalez said. Still, Gonzalez and his brothers often resorted to sorting through Dumpsters for leftovers from a grocery distribution center, carefully sorting edible fruits and vegetables from spoiled produce. Despite the challenges, Gonzalez never wavered from his studies nor did his commitment to become a medical professional. An agreement signed between the Grossmont-Cuyamaca Community College District and a Prague university will allow graduates who have earned a degree from one of the two East County colleges to continue their education in the Czech Republic. The district’s agreement with Anglo American University (AAU) will provide an opportunity for students to earn a bachelor’s degree in a program that is less expensive than a California State University and can be completed more quickly. In addition, students could experience a part of the world they might not otherwise have known, said Alan Krautstengl, president emeritus of AAU. AAU, a not-for-profit university founded in 1990, is the first independent European institution to be accredited by the Western Association of Schools and Colleges, one of six regional accrediting agencies in the United States. 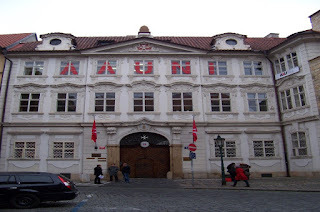 The university, located in a restored palace in the historic center of Prague, enrolls almost 1,000 students from more than 70 countries. The university offers 14 undergraduate and graduate programs, and all courses are taught in English. Most classes are small, with a ratio of eight students per instructor. Classes at AAU cost $250 per credit unit, compared to $396 per unit at San Diego State University. Krautstengl said students with outstanding academic records in their first semester are offered extensive financial support, and students with perfect or near-perfect GPAs at 3.9 or above pay no tuition. The cost of living in Prague is also a bargain, he said. Students typically pay $300 to $400 a month for a room, and a year of medical insurance costs $500. The university has an accelerated pathway for students with Grossmont and Cuyamaca College associate degrees so they can earn a bachelor’s degree with just 45 credits in three semesters. 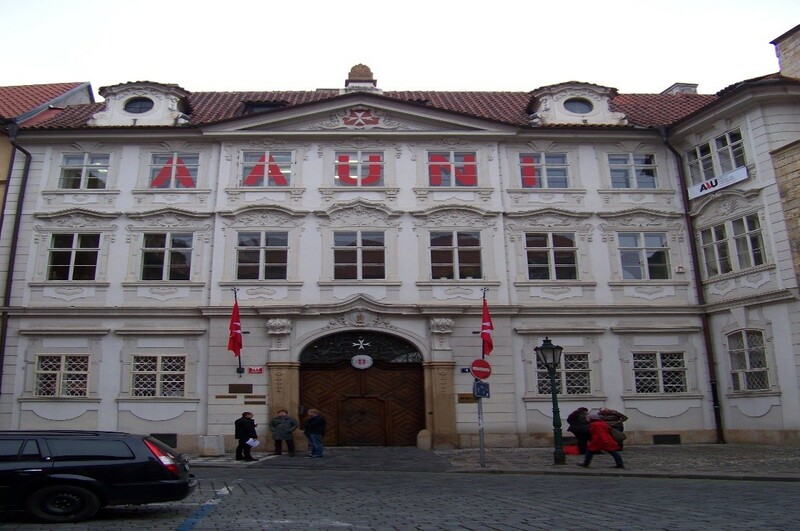 For those who want to continue their education in Prague, AAU also offers a master’s in business administration degree through Chapman University. 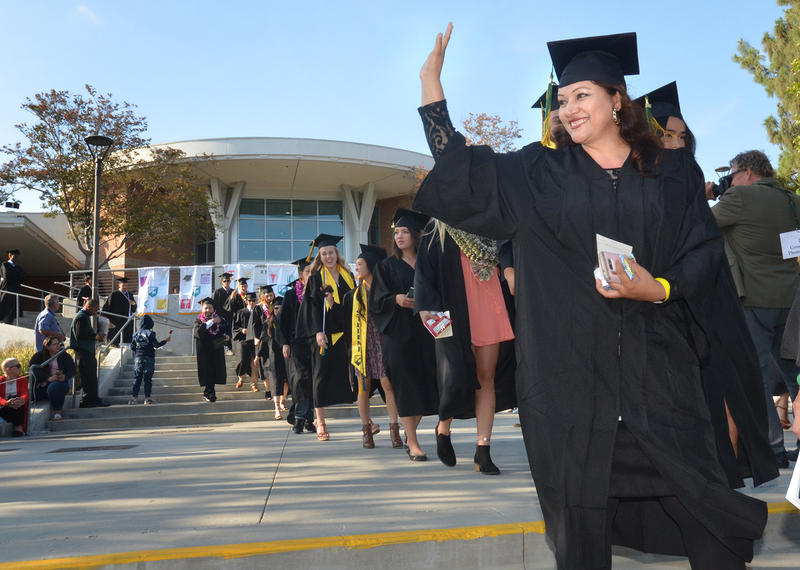 A continuing focus on student success and a streamlined process for university transfer are yielding record numbers for Grossmont and Cuyamaca colleges, where a highest-ever 2,500 graduates will receive more than 5,500 degrees and certificates on June 6 and 7. These numbers translate into a 23 percent increase in the number of graduates and a 20 percent hike in the number of degrees and certificates compared to a year ago. 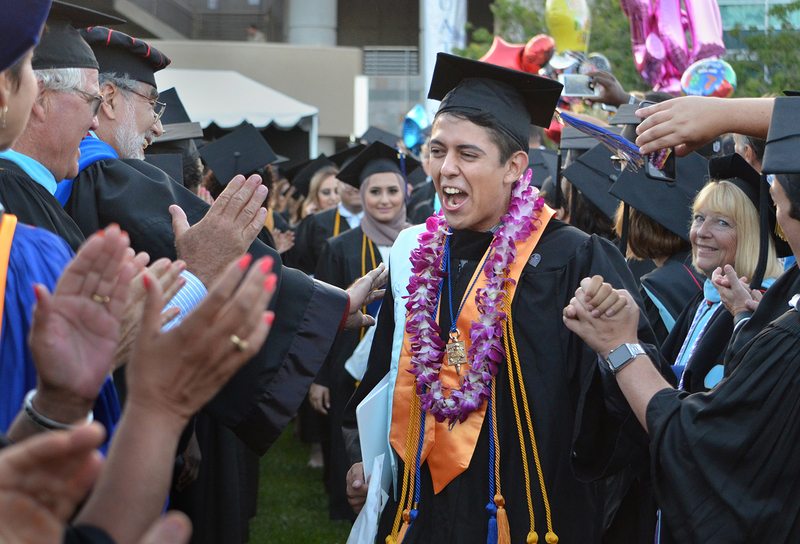 Commencement begins at 5:30 p.m. Wednesday, June 6, in front of the B Building at Cuyamaca College, and the same time on Thursday, June 7, at the Main Quad at Grossmont College. 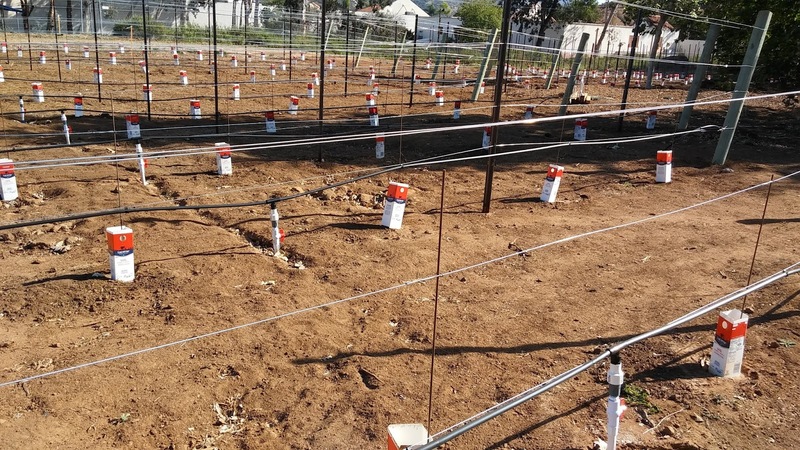 A new half-acre vineyard at Cuyamaca College that is part of a groundbreaking viticulture apprenticeship program to meet a growing demand for skilled workers in the region’s wine making industry will be officially dedicated on June 4. The viticulture apprenticeship program, the only one of its kind in California when it launched in the fall of 2016, is aimed at addressing a shortage of qualified workers knowledgeable about vineyard management practices, including irrigation, pruning, fertilization and harvest. 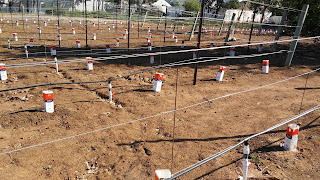 It was supported through a grant of nearly $260,000, much of which went to develop the vineyard. “Cuyamaca College for nearly 40 years has been playing a critical role in building our regional economy, and our new viticulture apprenticeship program will train the kind of skilled workers who are in demand by a rapidly expanding viticulture industry,” said Cuyamaca College President Julianna Barnes. Eighteen workforce programs at Grossmont and Cuyamaca colleges have received state recognition for their success in boosting the salaries and careers of their graduates. The programs were recognized as Strong Workforce Stars, an annual recognition by the California Community Colleges honoring career education programs that show significant gains in factors that advance social mobility – a substantial increase in earnings, attainment of a living wage and a job closely matched with the graduate’s field of study. Grossmont College’s nursing program achieved all three metrics and was awarded a Gold Star. Four other Grossmont College programs received Silver Stars for reaching two of the three metrics. Five Grossmont College programs and eight Cuyamaca College programs were awarded a Bronze Star for reaching one of the employment goals. Two guided bike rides are being held at Grossmont College May 20 to honor the memory of Grossmont College political science professor Brian Jennings, an avid bicyclist who was killed April 17 while riding his bike in Flinn Springs. Two bike routes, both starting and ending at Grossmont College, will be offered. A 62-mile route with a 5,000-foot elevation gain will travel from the college to Soledad Mountain via Del Mar. A 12-mile route with a 1,000-foot elevation gain will travel through Lake Murray and Mission Trails Regional Park.Both routes begin at 8:30 a.m. and will be guided. A brief memorial for Jennings will be held at the top of Soledad Mountain. Members of the public are welcome to attend at no charge, although all participants will be required to sign a waiver and release of liability. Jennings, 58, was hit by a minivan as he was riding his bike in the bicycle lane on Old Highway 80. 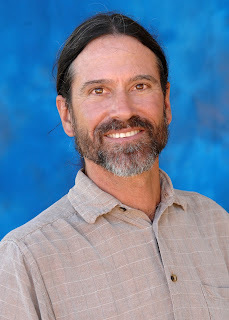 He had been teaching at Grossmont College since 2005. He is survived by his wife, Nancy Jennings, a communications professor at Cuyamaca College, and sons Brennan and Kenny. 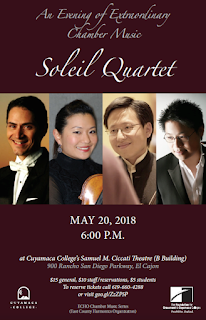 The inaugural season of a new chamber concert series at Cuyamaca College featuring renowned international musicians concludes Sunday, May 20, with a performance by the Soleil Quartet, a group comprising four esteemed members of the San Diego Symphony. The Soleil Quartet, which takes the stage at Cuyamaca College’s Samuel M. Ciccati Theatre, is set to play pieces by Aaron Copland, George Gershwin, Samuel Barber, and John Biggs. The 6 p.m. concert is the last of five this spring that are part of the newly launched ECHO Chamber Music Series, with ECHO being an acronym for the East County Harmonics Organization. The ECHO Chamber Music Series is underwritten by East County resident Sam Ersan, a vice chair at the San Diego Symphony’s Board of Directors who established the Sam B. Ersan Chamber Music Fund at UC San Diego and whose philanthropy includes founding two chamber music groups, the Camera Lucida piano quartet and the Myriad Trio. Ersan said he was looking at venues for a new chamber concert series in the East County and settled on Cuyamaca College because of the location and the welcoming reception he received from college administrators.